This blog was a tough one to write, not because of the wine I chose but because of the tough start of my day. As I was writing, I found I’d write a sentence, then hit the back space to erase the words…I did that about four times until my brain finally kicked in gear, so here we go…. Sunday had a very rough beginning. I was sitting at my desk doing social media stuff, when I heard a sound that is only associated with metal hitting metal. I went outside and saw a car / motorcycle accident at the end of my street about a half block from my house. Several of us responded to help direct traffic; one neighbor held the head of the young motorcycle driver to soothe her until emergency responders arrived. It had been a while since I had to work an accident. Memories flooded back on my days as a police officer working events that had unfathomable tolls on people’s lives. Finally the local fire truck and two police units showed up, then the ambulance. They recognized right away she needed quick attention…it was good to see them take over the situation. This made for a very long day and I eagerly looked forward to my church’s Sunday evening service. I needed a little soothing myself. After the service and arrival back home, I sat down to just take a deep breath. Quiet felt so good! It was now time for a glass of wine. 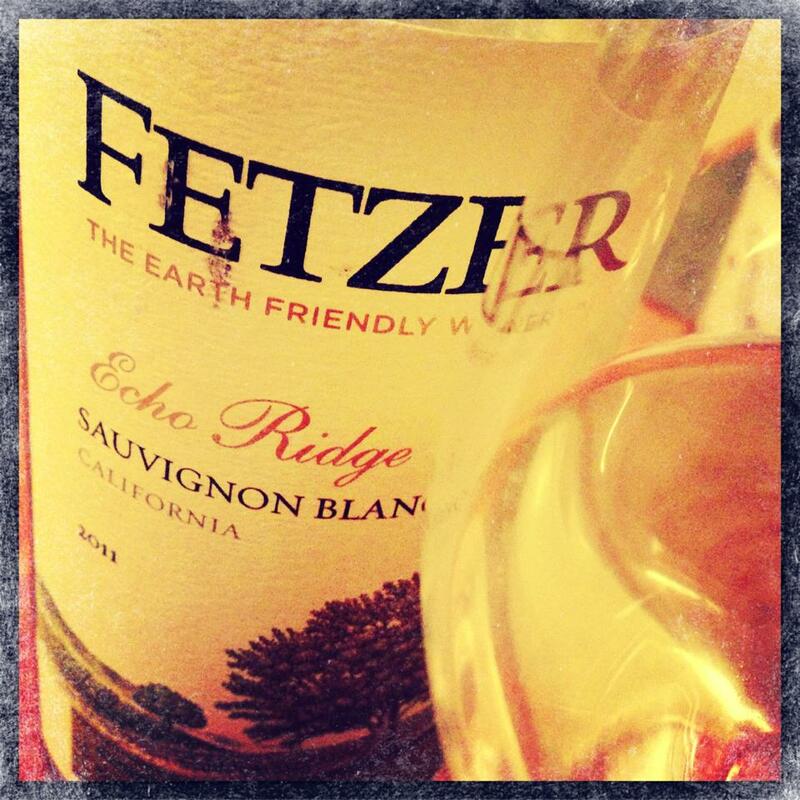 I decided to try the Fetzer Echo Ridge 2011 Sauvignon Blanc. I purchased it at my local grocery store for $7.98. 13.5% Alcohol by volume. This wine has a great aroma and a softness to it. The color was a little darker than I find in most Sauv Blancs. Very fruit forward with layers of melon, orange and pineapple with a slight floral note. The mouth feel was a little heavier than most Sauv Blancs with a mouth full of tropical fruit and a little grapefruit. The acidity of this wine was well-balanced. It was a nice wine to bring a close to my day. Although it would be great with food, it didn’t really need any. It was just fine on its own. Dennis Martin, winemaker for Fetzer, believes that quality wines shouldn’t be reserved just for special occasions. He feels consumers should expect satisfaction whether they choose a moderately priced or higher priced wine. So sorry you had a challenging day, but am happy you found solace in a wine available to the masses. Cheers!